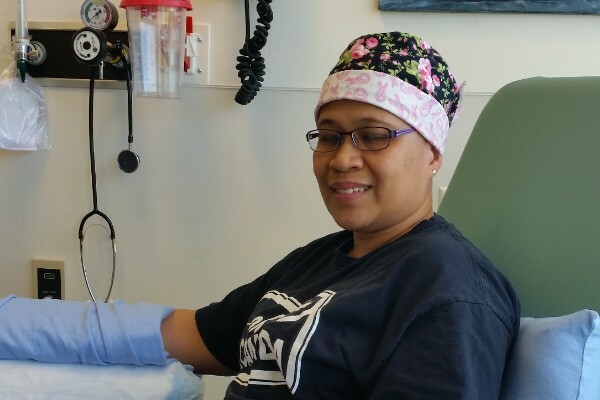 Mildred was diagnosed with stage 2 breast cancer recently and is now undergoing treatment. This leaves her unable to work as a nursing home isn’t a good place for someone who is immune compromised. Mildred has been a care giver her whole life. Went to school as a midwife in the Philippines, came to Canada as a live in caregiver, works as a health care aide, and supports her parents home in the Philippines. Our daughter, Isabella, is aspiring to be a competitive figure skater. With Mildred on disability leave it makes finances tight. 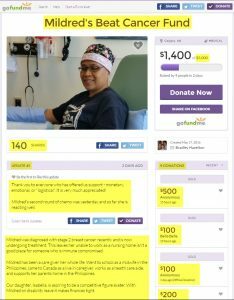 We are reaching out to you to find it in your heart to make a small donation to help relieve the financial stress cancer has caused and help Mildred heal quicker by letting her concentrate on getting well not money. This article was posted in Cancer and tagged bhazeltn, Cancer, mildredbeatcancer, Support.